Efforts to comply with HIPAA and other regulations result in organizations in the healthcare environment being ultra-mindful of data security. However, according to the 2018 HIMSS Cybersecurity Survey, a startling 75% of survey respondents reported a significant security incident in the previous 12 months. How are you tackling data integration and security? 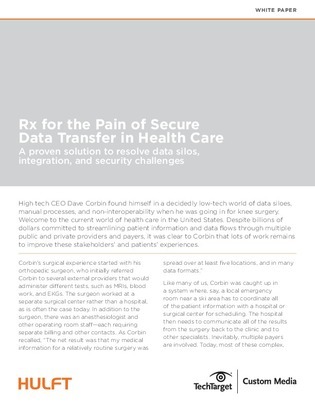 This white paper takes a deep dive into data management and security in healthcare. Gain ideas on how you can resolve data silos, integration, and security challenges.